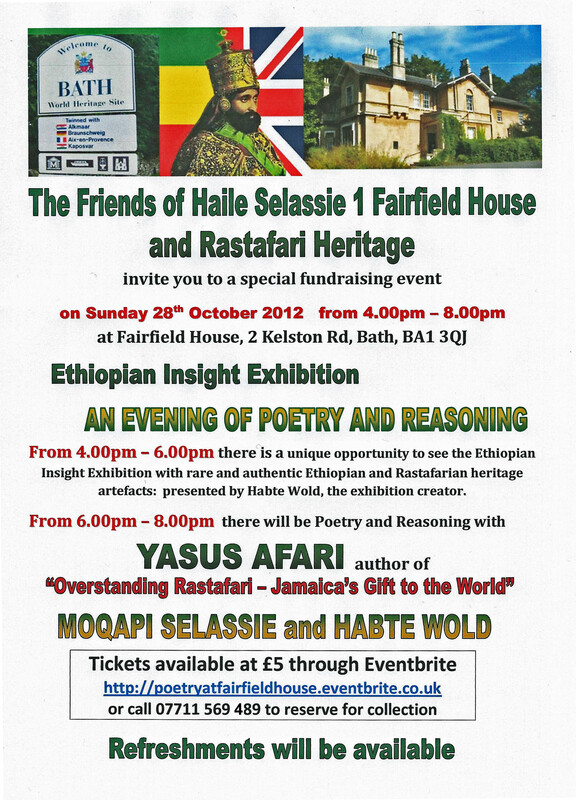 Poetry, Reasoning, and Ethiopian Insight artefacts exhibition and presentation at Fairfield House on 28th Oct.
or call 07711 569 489 to reserve for collection. Hope to see you. Blessed Love.